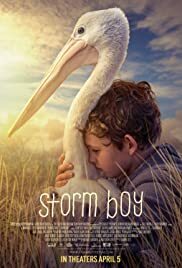 STORM BOY (available 7/2/2019) is based on the 1974 book, Storm-Boy, by Colin Thiele. Featuring Jai Courtney and Geoffrey Rush, this heart-warming and visually stunning drama is a great choice for family movie night. 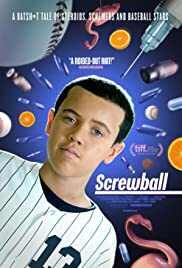 SCREWBALL (available 6/4/2019) recounts the high profile doping scandal that rocked Major League Baseball. The documentary plays like a madcap Floridian crime comedy in the vein of Elmore Leonard or the Coen Brothers, while it raises serious questions about the ethics of professional sports. Daughter of Mine (Italian-released 3/12/2019, here soon) tells the story of a ten year old girl who is torn between two mothers, one who raised her with love, and her biological mother who has re-entered her life. The Image Book (Documentary available 5/21/2019): Jean Luc Godard pieces together fragments and clips them from some of the greatest films of the past, then digitally alters, bleaches, and washes them, reflecting on what he sees in front of him. The City That Sold America (Documentary-available 5/28/2019 reveals how a melting pot of immigrants, creative mavericks, and freedom-seeking African Americans shaped modern consumerism, forever changing the country's behavior and culture. Light in the Water (Documentary-available 4/23/2019) follows the the first openly gay masters swim and water polo club, the "West Hollywood Swim Club", from their humble beginnings, to how these men and women have become a renowned force fighting injustice in the world of competitive sports. The Ask Us desk has a full list of the CIFF films in our collection. If you saw a film at the festival which you would like WPPL to add to the collection, just log into your account in the catalog and submit a request!